Ken Opalo is a Ph.D. Candidate in the Department of Political Science at Stanford University. His research interests include legislative development in Africa; the political economy of development; regional cooperation and trade in Africa; and elections, governance, and security in the Horn of Africa region. 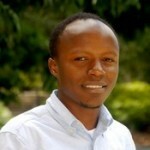 In 2012-2013, Opalo will be the Susan Ford Dorsey Fellow affiliated with the Center for African Studies at Stanford. Paul Yock is a cardiologist, health technology innovator, and professor of medicine and bioengineering at Stanford University. 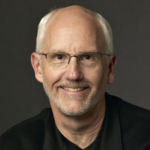 He is the Founder and Director of Stanfords Byers Center for Biodesign, a pioneering innovation training program dedicated to the design and development of medical technologies. He is also the Martha Meier Weiland Professor of Medicine and Mechanical Engineering and Founding Co-Chair of Stanford’s Department of Bioengineering. Paul is internationally known for his work in inventing, developing, and testing new devices and has co-founded several medical technology companies. In his academic career, he has authored over 300 peer-reviewed publications, chapters and editorials, textbooks, and over 45 U.S. patents. Paul received his M.D. from Harvard Medical School.